These are heady days for marijuana. Support for medical cannabis is at an all-time high and industry experts predict that several states (including New Jersey, Michigan and Connecticut) could legalize recreational weed in the next several months. The end to the irrational, socially unjust and self-defeating War on Weed is long overdue, but there are a few downsides to the reforms taking place. Unfortunately, pet poisonings are up as many pooches (and cats) are inadvertently discovering and eating their owner’s edibles. Why is pot so dangerous for pets? And what can you do to make sure your furry friends don’t overdose on your stash? Here are several things you need to know. THC (the active ingredient in marijuana) is psychoactive to humans but generally non-toxic. The same is not true for dogs and cats. To paraphrase veterinary anesthesiologist Jamie Gaynor, pets are especially susceptible to the psychotropic effects of THC and they can (in extreme cases) suffer seizures, coma or even death when exposed to it. Marijuana can be toxic to dogs and cats. 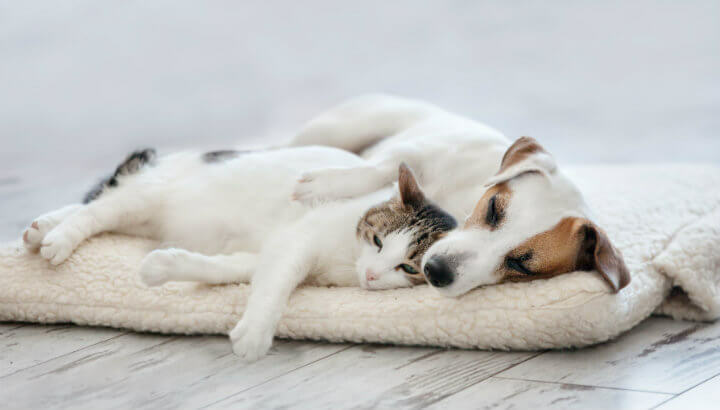 Symptoms of marijuana poisoning in dogs and cats can range from mild to severe, but ingestion of large amounts of the herb (through edibles or secondhand smoke) can be dangerous. 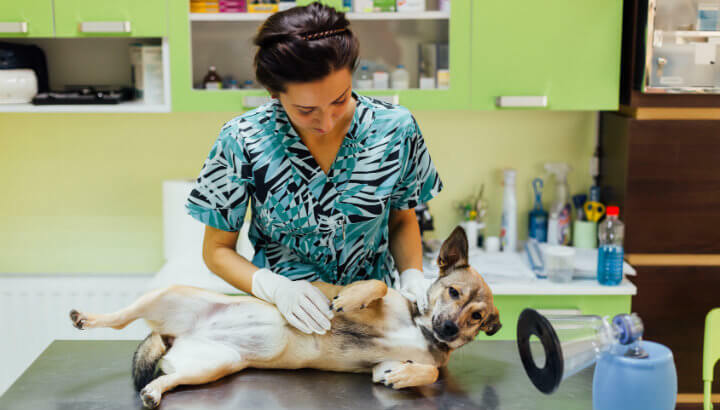 Most animals who ingest marijuana will do well with supportive veterinary care. Treatment for a marijuana overdose includes keeping the animal properly hydrated, monitoring vital signs (like temperature and heart rate) and preventing injuries. In extreme cases, pets may be given activated charcoal or other liquids to help absorb and neutralize toxins. 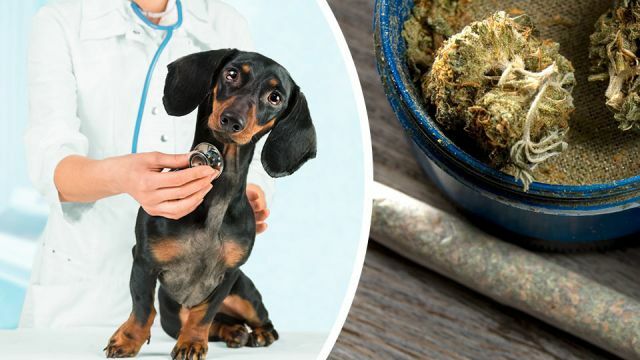 Symptoms of marijuana intoxication in pets include dilated pupils, tremors, vomiting, difficulty walking, sedation and lethargy, racing heartbeat, temperature fluctuations, unexplained incontinence, seizures and coma. If you suspected your pet has eaten your edibles or is experiencing marijuana toxicity, you should immediately contact your local vet or poison control center. Lethargy could be a sign that your pet got into your edibles. Pets are very curious and they can be ferociously determined when it comes to opening containers that they believe contain food. For this reason, store edibles not just in sealed containers, but also in rooms, cabinets or on shelves that are not pet accessible. Never underestimate your pets ingenuity. You should only store edibles or pot products in places where it’s physically impossible for your pets to reach them. Pets are very vulnerable to THC and blowing bong hits in their vicinity won’t do them any good. Thankfully, the risk of acute poisoning by smoke inhalation is low compared to edibles, but marijuana intoxication is not safe for pets in the same way that it is mostly harmless for people. Most vets agree, there is no safe level of marijuana exposure for dogs and cats. Don’t leave that dime bag or bong lying around. Bongwater is pretty grungy, but dogs have been known to try and drink it. It might be a laughing matter if your fraternity brother or sorority sister mistakenly drank a glass of bongwater, but it’s bound to make your pet sick. Talk to your vet about using CBD oil for your pet. 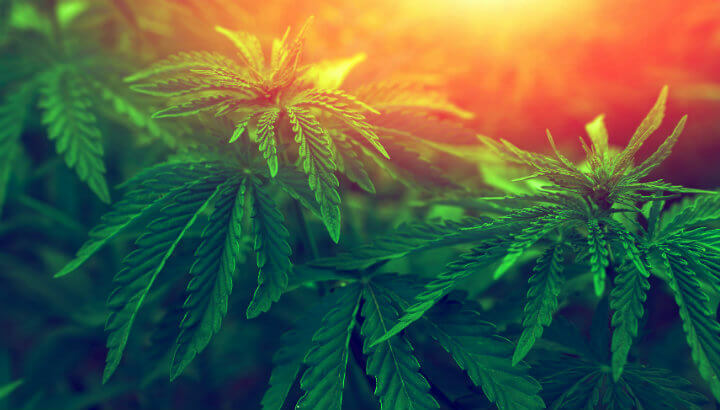 Vets now recognize that compounds found in the hemp plant (a close cousin of marijuana) may help alleviate the pain and inflammation associated with osteoarthritis. However, if you are giving your pet a cannabis-based medicine (such as CBD hemp oil) then be sure to discuss this with your vet first. Hemp oil contains only trace amounts of THC, far too low to be harmful, but you’ll want to make sure you use only vet-approved products that have been screened for quality and purity. Pets that have ingested pot tend to act depressed and antisocial. If they appear disoriented, scared or are behaving erratically for no good reason, then try to make sure all your edibles are accounted for. Marijuana products that pose a particular danger to pets include brownies, edibles with nuts and cannabutter. If you suspect your pet has been poisoned by pot, then contact your local vet or poison control center immediately. In the interests of your pet, try and give a complete account of the product type and the amount your pet consumed. In the last six years, marijuana toxicity among pets has risen dramatically. Vets now estimate that marijuana poisoning is one of the top ten toxins they treat dogs for. To avoid this major buzzkill, make sure all your edibles, cannabis products and paraphernalia are secure and cannot be reached by your pet. Hey Buddy!, I found this information for you: "Marijuana Poisoning Up For Dogs: Here’s How To Keep Your Pet Safe". Here is the website link: https://www.thealternativedaily.com/marijuana-poisoning-up-for-dogs-how-to-keep-your-pet-safe/. Thank you.